Robust multi-platform antimalware protection. Our award-winning anti-phishing engine protects sensitive company information, such as usernames and passwords, against fake websites. Other advanced technologies inside include cloud-powered scanning and device control. 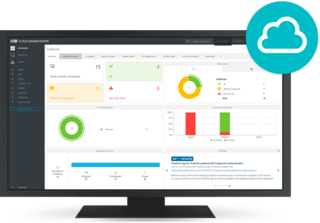 Multilayered technology, machine learning and human expertise combined to incorporate the best level of protection, with simple-to-use cloud-based security management.